Kabul, Dec 6 (IANS) Afghan President Mohammad Ashraf Ghani on Thursday met visiting US Special Representative for Afghanistan Reconciliation Zalmay Khalilzad, discussing the latest efforts for a political solution to the conflict in the country. During the meeting, Khalilzad briefed Ghani on his tours to the countries in the region, focusing on peace and reconciliation of Afghanistan, the palace said in a statement cited by Xinhua news agency. 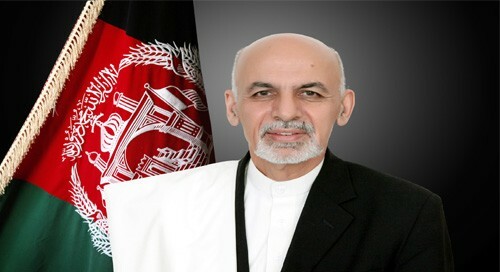 According to the statement, Ghani said that joint peace efforts would help Afghans to achieve a lasting peace and put an end to the long war and crisis. The meeting was attended by government Chief Executive Abdullah Abdullah. Khalilzad, leading a delegation, arrived in Afghanistan after visiting Pakistan where he met the country's top leadership. Khalilzad held three-day talks with the Taliban political representatives in Qatar last month. He will travel to Russia, Uzbekistan, Turkmenistan, Belgium, the United Arab Emirates and Qatar during his 18-day tour till December 20.